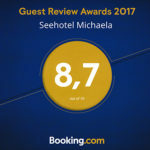 Whether it's a small, private birthday or anniversary celebration or maybe a larger corporate event, Seahotel Michaela offers the ideal conditions. 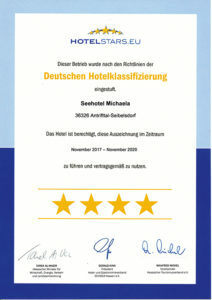 We are happy to assist you in planning and realizing your event. Let your celebration become an experience and take advantage of the extraordinary conditions of our house. Visit us, we are happy to explain your options for your event or celebration in our Seahotel Michaela and discuss your individual Needs with you. You will be convinced of our offer.